Maya Shahani, Chairperson of the SAGE Foundation is also the Chairperson of Thadomal Shahani Centre for Management, the Business School of the future, which imparts global quality management education and focuses on creating heart centric business leaders. 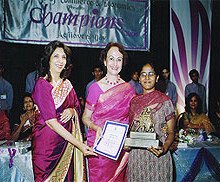 CFM has recently won the DNA award for the best business school for industry academia linkages. She is the Trustee of Thadomal Shahani Trust and Governing Board Member of the HSNC Board, Vice Chairperson of Global Dialogue Foundation and Founder Trustee of Women’s Movement for Peace and Prosperity under the aegis of Times Foundation. She is also the Education Board member of Sadhu Vaswani Mission and Priyadarshni Academy, Patron of Cancer Patients Aid Association and Governing Board Member of the Bombay Mothers’ and Children Welfare Society as well as Chairperson, of the Justice H.K. Chainani Elder’s Home. Maya fulfills her duties with compassion, love and commitment. 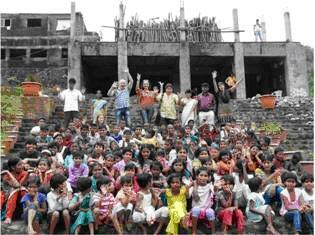 Kishore is also the Managing Trustee of the Thadomal Shahani Trust, which has provided more than 60 years of philanthropic work in education, healthcare & low cost housing. As a partner in East India Papaer Company, one of India’s oldest and largest paper & paperboard companies, he is one of India’s leading paper distributors. A philanthropist and social entrepreneur, Shahani provides seed money for Educational and Medical Institutes. He is the Trustee of Shahani Holiday Home, a holiday resort for low income families. He has set up a diagnostic center in the memory of his late brother, and a center for the early detection of cancer in the memory of his mother. He disburses hundreds of money orders every month for education, health care and poverty alleviation. Akhil is the Managing Director of Thadomal Shahani Centre for Management. An MBA from the Kellogg Graduate School of Management he Educates Entrepreneurs to succeed through his website (www.smartentrepreneur.in) He is also the Director of Kaizen Management Advisors Pvt. Ltd – A Private Equity Fund investing in India’s $50 Billion education sector. He runs the Smart Institute – A global business school that creates Smart People for Smart Companies and the Smart Entrepreneur Network – a web portal that helps entrepreneurs succeed. 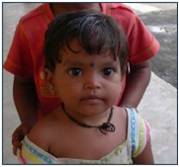 Akhil is a partner in East India Paper Company and a Trustee of The Shahani Trust. He is on the Board of Unltd India – supporting start up social entrepreneurs in India and on the Higher Education Task Force of the Confederation of Indian Industry, India’s premier industry association. Akhil loves to get involved in enterprises that truly add value to society. 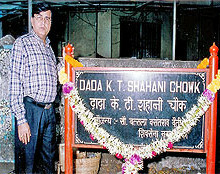 He was the past president of the American Allumni Association and The Rotary Club of Mumbai Mid Town. He is also a member of the Young Entrepreneur’s Organization, the CEO Forum, the Indo-American Chamber of Commerce, Indian Merchant’s Chamber & Indian Institute of Management Consultants. Akhil is listed in “Asia’s Whos Who – Men & Women of Achievement”, was awarded the “Bharat Shiromani Award” in 2006 for excellence & contribution to society. 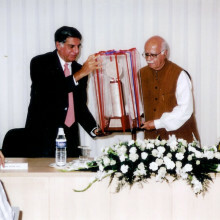 Received the ‘Bharat Gaurav Award” in 2007 for contribution to Indian Business, and the “Indira Gandhi Priyadarshini Award’ in 2009 for his work in education. He was also selected as ‘India’s Man of The Year’ By The American Biographical Institute. 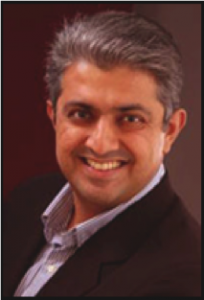 Ranjit Shahani is the Country President, Operations, Novartis Group of Companies in India. A Mechanical Engineer from IIT Kanpur and MBA from JBIMS, Bombay, he was the President, Organisation of Pharmaceuticals Producers of India (OPPI) since 2001. 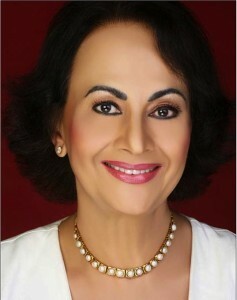 Ranjit is the President of the Bombay Chamber of Commerce and Industry and the President, Swiss Business Forum. 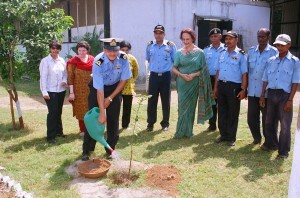 He is the Chairman of Interpat in India. Ranjit was on the Council of the International Federation of Pharmaceuticals Manufacturers Associations (IFPMA, Geneva). A thought leader in the Pharmaceutical Industry actively involved in lobbying for a strong Product Patent law in the country and Data Protection and liberalization of the price control mechanism for Pharmaceuticals. Has strongly canvassed for deterrent legislation against counterfeit drugs. Ranjit’s networking base and industry connections, along with his business and professional skills will ensure that SAGE fulfills its goals of universal education and social empowerment. 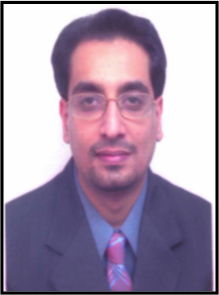 Rajesh has several years of experience in the semiconductor industry both in Business Development & Design. Holds a Masters in Computers from San Hose, and Doctorate in Chip design. 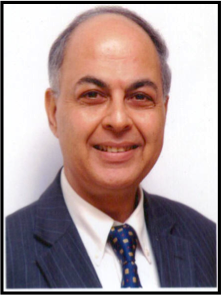 Former Director – IIVT (Interface Institute of VLSI Technology), he currently works as the Program Manager for AMD (Advance Micro Devices) based in Hyderabad. He looks after the semiconductor business in Japan, Sweden, & Denmark. Asha Tapase, Advisory Board Member, SAGE Foundation. Asha is a woman activist. Her father-in-law Late Shri G.D. Tapase who was a veteran Freedom Fighter, Mass Leader and Philanthropist from Maharashtra, played a significant role in empowering her which further strengthened her aim to work for women’s issues. She later completed her Bachelor of Arts degree with Sociology Major and then MA in Sociology. This was followed by a Post Graduate Diploma in Human Rights, Post Graduate Diploma in Journalism, Management in Tourism and Diploma in Personnel and Industrial Management. 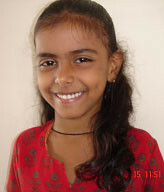 Asha’s professional career began with her father- in-law. She worked as the Honorary PR for Shri G.D. Tapase. During his tenure of Governorship, she had the privilege of hosting Presidents, Prime Ministers, and Ambassadors of different Countries. Furthermore, she served as the honorary P.R. and coordinator for Bharatiya Vidya Bhavan; she was instrumental in opening centers in Durban, South Africa and Sydney, Australia. She has been an advisory board member at the Wockhardt Foundation and has served as the Vice President of the business and professional women’s association, Bombay chapter.